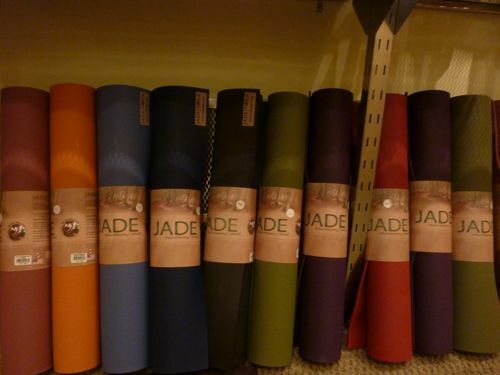 You are currently browsing the tag archive for the ‘jade’ tag. I feel like I should have a little check-in with myself every month to review where I am with my yoga practice; in short, Am I doing it? I rarely go to studio classes anymore, for many reasons: (a) I feel like I know enough to guide myself through a practice; (b) sometimes class times don’t jive well with my work/commute schedule; (c) I’m annoyingly picky about studio temperature/teachers’ voices/teachers’ word choices (i.e., “goddess,” “divine,” and any talk of angels will have me squirming in my savasana); and (d) I’m self-conscious about my hip and the fact that sometimes I have to stop what I’m doing and jostle my leg around to snap it back into place…and sometimes that takes quite a few jostles. The one exception I made, starting back in October, was to sign up for a 5-week kundalini yoga series. I knew the teacher from a tai chi series I took two years ago, and she is very accommodating to injuries/limitations/modifications, as she herself has faced several physical challenges. I told her straight off about my hip and how I’d be using blankets to prop me up and may have to stop every so often for the jostling, all of which she was totally cool with. I was so happy when she guided us through frog squats but made a point to demonstrate that one doesn’t have to go all the way down to the floor and can simply hold onto their calves. I was glad that I had registered and paid for the class beforehand, which kept me from bailing out. The class didn’t start until 7:30 p.m., and at times I struggled leaving the house after it was dark outside and I felt settled in for the night. Fortunately, the studio is less than 10 minutes from home, so I never felt like it was a burden to drive to class. Another plus: I always, always, ALWAYS left class feeling a million times better than when I started. I’m sure my husband noticed that the cool-as-a-cucumber woman who entered the front door at 9 p.m. was not the same as the one who trudged out at 7:15. 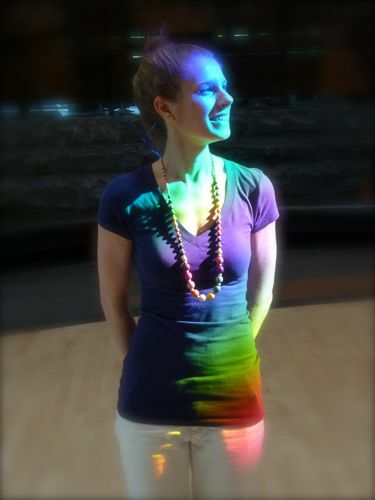 We started every class with an aura-strengthening kriya, which the teacher recommended doing every day, not only to keep our physical self healthy but our energetic body as well. I took her words to heart and have started every morning with the set, especially because I find there is a lot of negative energy floating around this time of year, with harried holiday shoppers, disgruntled cashiers, and many meet-ups with friends and family who may be energy vampires. Also, on a physical level, ’tis the season for unwanted germs! Over the course of the 5 weeks, we also practiced the “Sa Ta Na Ma” meditation for 12 minutes; the “Breath to do when you don’t know what to do” (inhale thru nose, exhale thru nose; inhale thru mouth, exhale thru mouth; inhale thru nose, exhale thru mouth; inhale thru mouth, exhale thru nose); a Celtic energy clearing (while standing, wave hands above head, over heart, over stomach, in front of knees, behind knees); and a gong meditation, first to a recording of a gong, then later to an actual gong. I found that the gong meditation really stirred up some stuff inside of me, because at times it was really, really loud, maddening, almost. It was chaos in my mind, and I found myself wanting to scream along with the jarring sounds, not because it bothered me but because it was just stirring up some residual emotions. But then when the gong slowed and became soft, so did I. It was interesting to fluctuate between the two very different sounds. I loved everything about the series and only wished it were a permanent class. I was really bummed when the 5 weeks were over, but I try to do a little kundalini every morning after waking up. 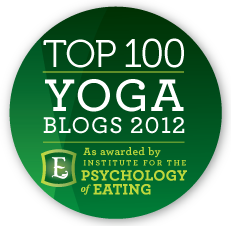 During the process of writing about my Kripalu experience, I began to crave more Kripalu-based classes. 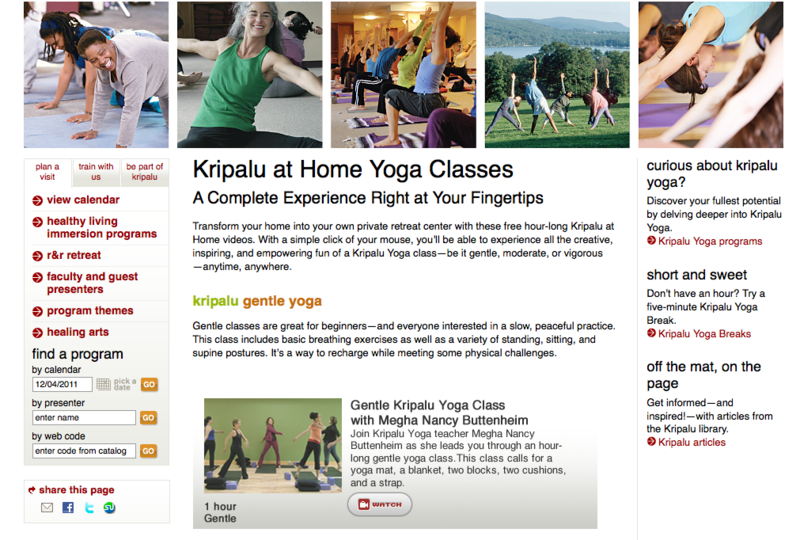 I wrote about finding a Kripalu class on YouTube, and then shortly after that I found the actual Kripalu-at-Home website, which offers videos of 7 different, full-length yoga classes. I had done Devarshi’s moderate/vigorous one previously, and I’ve since tried Megha’s gentle class (a little too introductory for me, but probably great for beginners; also just wonderful to hear Megha’s voice again! ); Jurian’s moderate class (her theatrical voice is perfect for leading class; fun practice, but so glad I was in my living room because there was a lot of hip-jostling going on); and Coby’s moderate vinyasa flow (REALLY loved this one, especially her utkatasana series). Others available but that I haven’t tried yet are Sudha’s restorative class and two vigorous classes, one from Danny and the other by Jovinna. Coby’s class is my go-to video when I’ve looking for a flowing practice, and if I crave a little more power, I just throw in my own chaturangas in between the planks and downdogs. In fact, I practiced with Coby this morning, when, after waking up late and doing some stretching in the living room, out of nowhere I felt the urge to do a full practice. I actually put off from drinking my morning coffee for an hour so I could take class! That says something! As I wrote previously, November also marked a yoga workshop with Rudy Peirce. I’ll admit, it was nice to be in a studio setting and work with others, especially a workshop setting where things are more hands-on and instructive. Even better was meditating with others, because otherwise it’s so hard to sit still! I bought one of Rudy’s gentle yoga CDs so I could take home the experience, and I also bought a new yoga mat to replace the Gaiam one that I keep slipping and sliding on. Several months ago I had posted about the quest for a new mat, and several people commented about the wonders of Jade. This studio happened to specialize in them, so I picked out my favorite color (red) and brought the new guy home with me. The studio owner warned me that it would need to “air out” for a while to get rid of the rubbery (not chemical) smell. Boy, was he right! I’ve been airing it out for about 3 weeks and it finally seems ready to use. Not that I couldn’t have used it earlier, but the thing made the entire living room smell like new tires. Finally, although this type of yoga doesn’t require a mat, I spent two Thursdays in November participating in the final two practice teach classes of YogaDance teacher-in-training, Nikki (who actually is now a full-fledged Let Your Yoga Dance teacher; she graduated this past Friday!). Nikki deviated from her prescribed class outline during the final class and taught something she created herself instead, and the authenticity showed! I didn’t realize that her previous classes were not her own (the outline was chosen for her), because she did so well leading them. However, when she taught a class full of music and choreography that was her own, her true spirit emerged, and it was so fun to be a part of this creative awakening. She has plans to eventually teach a weekly YogaDance class at a nearby studio, and I hope I can be a part of it. YogaDance reminds us that yoga doesn’t always have to be about sun salutations and downdogs; it’s about taking time to connect body and breath, movement and spirit. …That said, I do like the way that hatha yoga stretches and strengthens, and I would like to incorporate that a little more into my life. We’ll see during the next yoga update if I managed to do that in December!